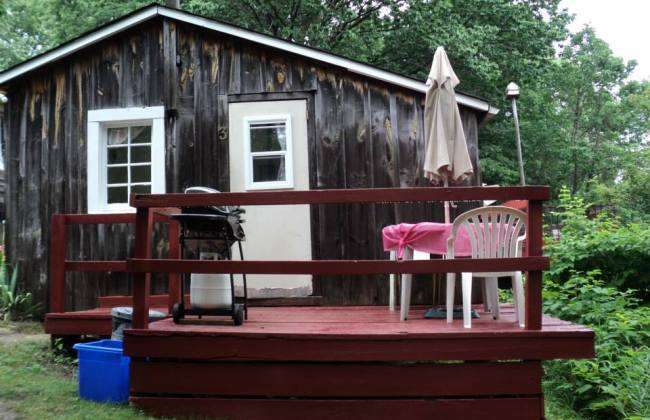 Our two bedroom Cottage #3 (double bed/bunk beds - sleeps four) is available for the weeks of June 29-July 6 and July 6-13, 2019 and we are offering a special weekly rate of $585 + tax through Coupon Country. Rosewood Cottages is waterfront on the Saugeen in Southampton. You will have a nice view from your deck as you bbq, plus you will be in a great location for day trips, fishing, golf, canoeing and many more fun activities. Email us at relax@rosewoodcottages.com and we will confirm that the cottage is still available, and direct you to give us a call toll-free to leave your deposit ($240 minimum please) using your credit card. Your Confirmation of Reservation will follow.